Australia’s airline, Qantas, was formed in 1920. Its name came from the initials of Queensland and Northern Territory Air Services, not, as some may have suspected, from a native species of bird or marsupial. And no one did it better! The first jukebox was installed at the Palais Royal Hotel in San Francisco in 1899. 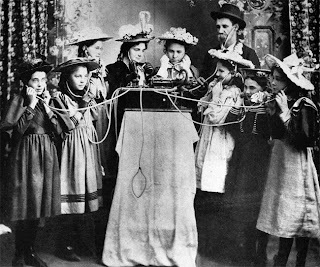 1889: The first jukebox is installed at the Palais Royale Saloon in San Francisco. It becomes an overnight sensation, and its popularity spreads around the world. That first jukebox was constructed by the Pacific Phonograph Company. Four stethoscope-like tubes were attached to an Edison Class M electric phonograph fitted inside an oak cabinet. The tubes operated individually, each being activated by the insertion of a coin, meaning that four different listeners could be plugged in to the same song simultaneously. The machine was originally called the “nickel-in-the-slot player” by Louis Glass, the entrepreneur who installed it at the Palais Royale. (A nickel then had the buying power of $1.08 today.) It came to be known as the jukebox only later, although the origin of the word remains a bit vague. It may derive from “juke house,” a slang reference to bawdy house, where music was not unknown. 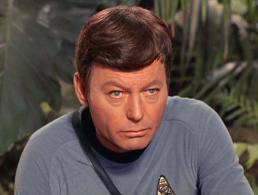 In the classic Star Trek series, Doctor McCoy’s nickname was Bones, but his little-used first name was Leonard. My mother who is 91 was Grand Marshall of the Charlotte Festival. Here she is in the parade! My cousin Emily is driving in her classic 1987 Mercedes convertible. 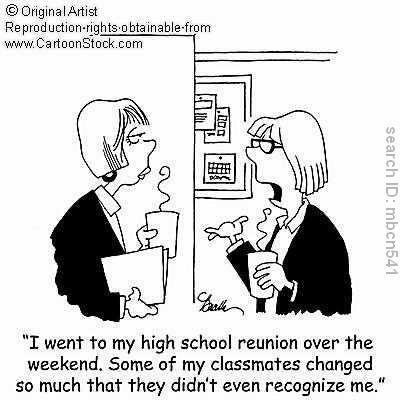 It was lots of fun seeing family and friends. The weather was around 90 and not as humid as it has been. Mother made it fine and had fun. She's amazing! She still drives and gets around so well. Her mind is sharp, and she's the best mother ever!! I had to do this! I was at the Festival. 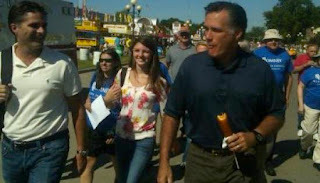 There were corn dogs. I have a camera. Never thought I had anything in common with Mitt, but obviously we chose our photo ops more carefully than the others did. Let me hear from all my east coast friends who can get in touch!! I've been so worried about all of you! Hope everyone is safe and dry. One of my former students from the gifted program could use a little of your time by voting online or texting. He's the choral director at Penn State and this is a way of raising money for three of his groups to go to the world competition. If you drink Pepsi (I'm a Coke person), you can enter the codes on the yellow caps. He's on FB - Jason Bishop. Check out his page and see more about him and his work. Here's the link to the website - CLICK HERE. Time is about to run out. I just tried it and it wasn't a big deal. Thanks!! A Dickson County native who is now choir director at a Pennsylvania college is trying to garner support to earn a Pepsi Refresh Grant to help send his youth choir to the World Choir Games in Cincinnati. 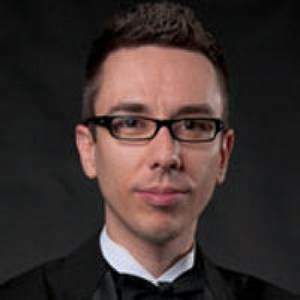 Dr. Jason Bishop grew up in Burns, graduated DCHS in 1994, and now is director of choral activities at Penn State Erie, the Behrend College, in Erie, Pa. Bishop founded the multicultural Young People’s Chorus of Erie while at PSE. The YPCE shares a mission with the Young People’s Chorus of New York City, providing opportunities for children ages 7 to 18 to participate in a comprehensive choral program that celebrates diversity, multiculturalism, and equal opportunities for children from a wide variety of backgrounds. Bishop applied for a $25,000 grant through the Pepsi Refresh program. The grants are awarded based on online voting. If the YPCE remains in the Top 15 of vote-getters come Aug. 31, they will receive the $25,000. “We’re very excited and appreciative of all the support and I’m especially touched that my hometown… would extend its support in this way,” Bishop said. To vote, log on to www.refresheverything.com/ypcerie and register, or follow the instructions on www.facebook.com/YPCErie. People can also vote to help YPCErie by texting the number 107988 to the phone number 73774. Also, if you are registered on the website, you can vote additional times by purchasing Pepsi cans with the yellow tops and entering the code. Bishop’s parents Michael and Linda Bishop currently reside in White Bluff and his sister, Amanda Bishop, still lives in Burns. For a long time, it's bothered me that there are too many people in the world. It's getting worse. It's hard for me to watch the news or see crowds of people in person without feeling upset about it. This isn't Ochlophobia--Fear of crowds or mobs. Being in crowds doesn't bother me. It's just knowing there are too damned many people on earth. The planet agrees with me and is trying to get rid of us with hurricanes, earthquakes, tsunamis, tornadoes, floods, and other natural disasters. We've screwed up. There are limited resources many of which people have almost depleted. Anyway, just wanted to let you know this is making me nuts. Why can't the Rapture be real and happen soon? . My mother is going to be Grand Marshal of the Charlotte Festival parade Saturday. HERE is an article about it. My hometown where she still lives is very small, as you can tell from this article. I'll try to post some pictures after the weekend. Brian and Brendan are coming to it, and Brendan will spend the night with me Saturday night. Mother said that sounded like a male title, so I told her she was Queen of the Festival. She's 91 and will ride in a car in the parade. She didn't know of any other duties expected of her. She's amazing! I won't ever make it to 91, and if I do, no way will I be in the shape she's in. 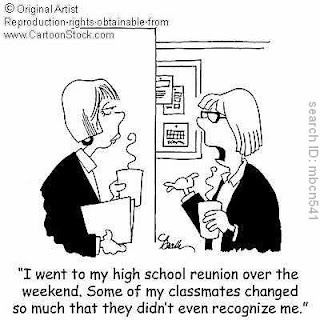 I never have been! She's always worked circles around me. Her mind is still sharp and so is her humor. I'm really fortunate to have such a fab mother!! 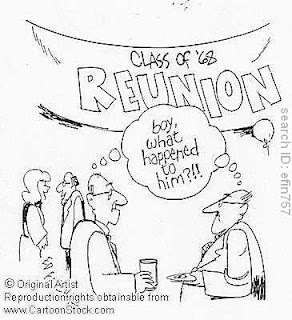 My 50th high school reunion is tonight. Damn, I'm old! Some of you aren't even 50 years old. Anyway, where did all this time go so fast? 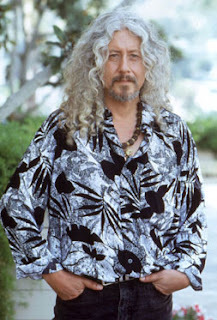 Yesterday I was grocery shopping and saw a guy who looked like Arlo Guthrie about a decade ago. I wanted to take his picture so I could send it to my son and say, "Hey! Arlo Guthrie is at Kroger!" but restrained myself. After I put my groceries in the car and returned the cart, I noticed the shopping carts were jammed and spilling into the parking lot in the way of cars, so I started fixing them. The Arlo Guy came up and joined in. We discussed the mess and how some people don't even take their carts to the designated places and leave them to run into cars. Yes, we felt superior. Oh the fun we had! Then as we were leaving, I told him I'd wanted to ask if I could take his picture when we were inside and told him why. He said so many people tell him he looks like Arlo Guthrie. We mentioned "Alice's Restaurant" and "The Motorcycle Song" and how some people don't know who Arlo Guthrie is. Sort of condescending but enjoyable. Then he told me I could take his picture if I wanted to. So I whipped out my phone and sent the photo to Brian. All in all a pleasant experience. Brian is probably so glad he wasn't with me and in another situation where I embarrassed him. It helped make him the fine man he is today, I'm sure. Or at least it prepared him for Brendan. I'm sort of torn about posting that guy's picture on here but will do so hoping he doesn't know about it. Close resemblance, huh? When Neil Young arrived at Woodstock with Jimi Hendrix, they found they had to go several miles to reach the stage, so they stole a pickup truck and drove off. Later Young called the incident "one of the high points of my life." Click to be able to read it. Contrary to popular misconception, bats do not become entangled in human hair and seldom transmit disease to other animals or humans. If I've ever been in doubt about how sedentary my life is, all I have to do is go to the gym. Comparing my activity level now to what it was 10-20 years ago is bad enough, but when I compare it to my mother's who is 91, it's horrific. I did my time on the elliptical and the treadmill which is by no means impressive but is a start. Then I saw the mother of one of my former students. She is 50 and rode her bicycle 20 miles yesterday and said she usually does 20-30. She was going what I thought was fast on the elliptical (forward and backward pedaling), but she said this was a light day since yesterday was heavy with the bike riding. Light for her was 6 or 7 mph. I do well to go 2.5 mph on it and definitely can't last as long as she did! There were some other women around my age who walked about the same pace I did on the treadmill. I realize it's not a competition and am glad it isn't. It just drives home to me how inactive I've been physically, and it shows! 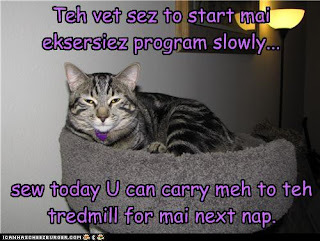 I feel like crap most of the time unless I exercise and then feel better, dammit!! I used to ride my bike (never more than a few miles, though), took aerobics classes, played tennis, swam, walked a lot, and danced (that requires dating which brings up some other activities I used to participate in, too). Sorry, Neil Young, but I've been rusting instead of wearing out. OK, so it's a start. I'm walking on the treadmill and pedaling on the elliptical. Next the weight machines and a class called Silver Sneakers for us seniors. After that, I'll see. The dating activities look doubtful. At least I can still hold my own in a trivia game. By the age of 20, the average man or woman has lost up to 20 percent of his or her sense of smell. 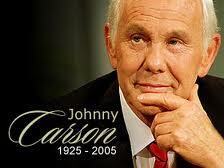 By the age 60, 60 percent is gone. For the first time in 40 years there is a Republican majority in the TN state legislature, and they are taking full advantage of it. They have already pulled a Wisconsin-type attack on teachers. We had a Democrat for governor for the last two terms. As you can see, we've mostly had Democratic governors for a long time. Now we have Bill Haslam, Republican owner of the Pilot oil stations. Back in the day, Democrats were all we had for Senators and Congressmen, too. Alas! 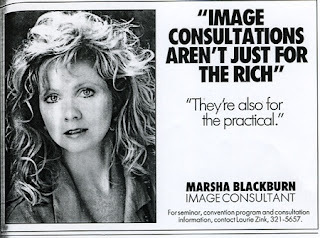 So now the Republicans are gerrymandering the districts, and it looks as if we'll be in the district that has Republican Marsha Blackburn! 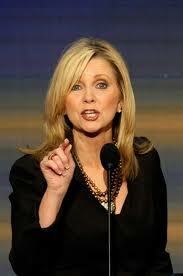 Anyone who keeps up with politics has seen her in action. The horror!!!! 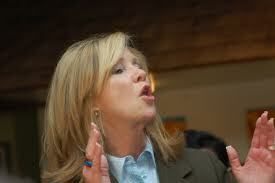 She lives in Williamson County, the richest county in the state. Here's the article in our local paper. 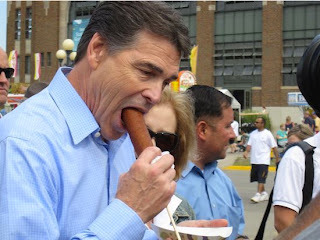 Provide your own captions!! 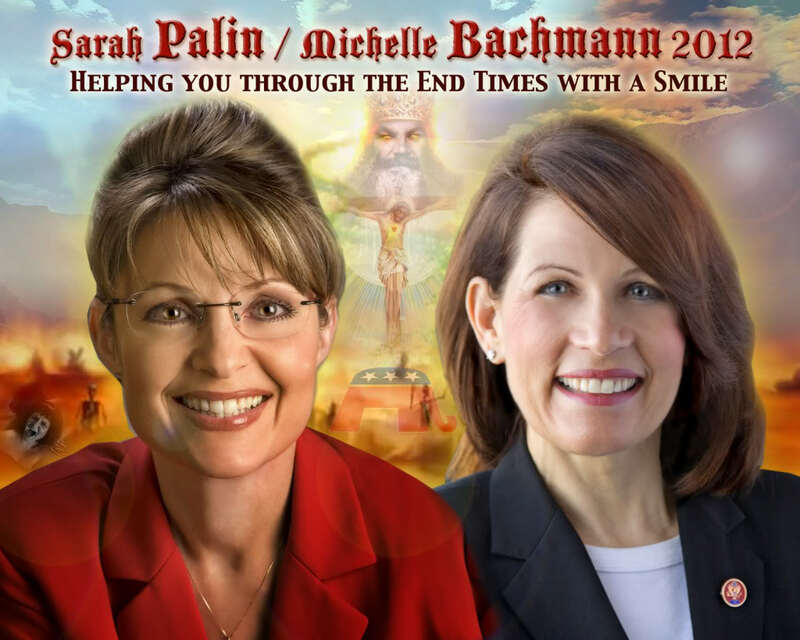 These two are variations on a theme. Beavis and Butthead moment I'm having here or better known as a Maddie and Auntie Flame regular size-queen conversation when we are naughty! I'm Praying for the Rapture! 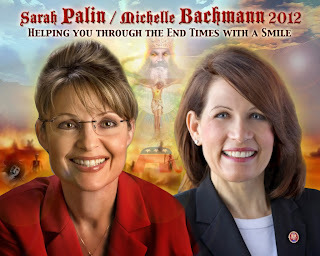 I am so ready for the Rapture to come and take all those crazies away from us so we can have a better life. If only!!! And a First-Class Ticket for Mooselini and Crazy Eyes! 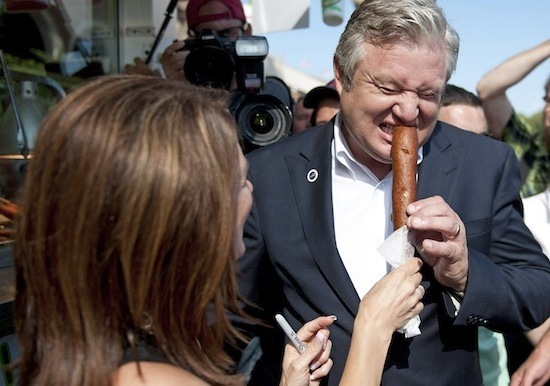 It’s ironic that the Bachmann campaign represents the best chance for getting a gay man into the White House. I haven't posted for a while since I either don't have much to say or have way too much! Know what I mean? 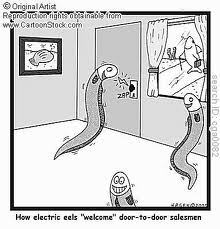 The electric eel has thousands of electric cells, with those organs making up four-fifths of its body. It lives in the Amazon River and its tributaries and is the most shocking animal on Earth; no other animal packs such a big charge. If attacking a large prey, a 9-foot-long eel can discharge about 800 volts. One zap could easily stun a human senseless. The larger the eel, the bigger the charge. The electric eel’s shocking power is so great that it can overtake its victims while 15 feet away. 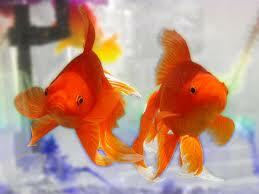 Goldfish lose their color if they are kept in a dim light or are placed in a body of running water, such as a stream. They remain gold when kept in a pond or in a bowl with adequate illumination. No, not this kind. 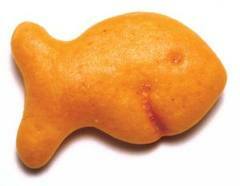 Anyone who watched The West Wing remember the goldfish incident between C.J. and Danny? 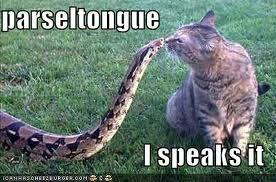 Do Pentecostal fundamentalist snake handlers speak Parseltongue? Mickey Rooney turned down the role of Archie Bunker in the 1970s sitcom All in the Family. The former child star was convinced that the show would bomb, and he wasn’t willing to jeopardize his professional reputation, although his film career had been on the skids for years. 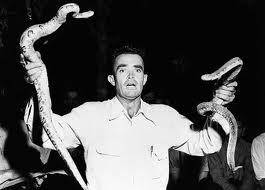 Little-known character actor Carroll O’Connor won the role as a result. And do you know why he grew a beard?